Gas density is a crucial operating parameter for high-voltage equipment. If the required gas density is not present, safe operation of the plant cannot be guaranteed. The WIKA gas density measuring instruments provide reliable warnings against dangerously low gas levels, even in extreme environmental conditions. Electrical switch contacts warn the plant operator when the gas density drops below defined levels due to leakage. 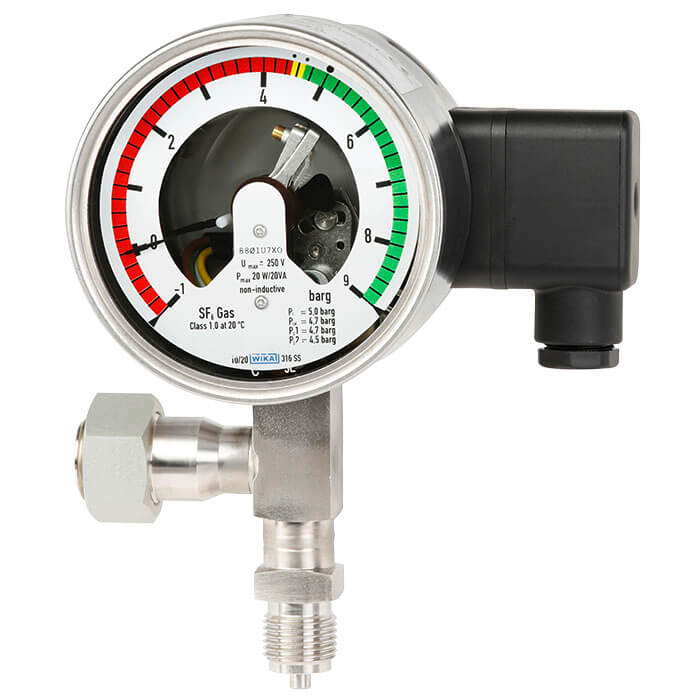 The WIKA gas density monitor is hermetically sealed and temperature-compensated. Measured value fluctuations and erroneous alarms caused by changes in either ambient temperature or air pressure are therefore prevented. Via the on-site display, the system pressure based on 20 °C can be read directly on the instrument. With the integrated switch contacts, simple switching tasks can be realised quickly and without complication.